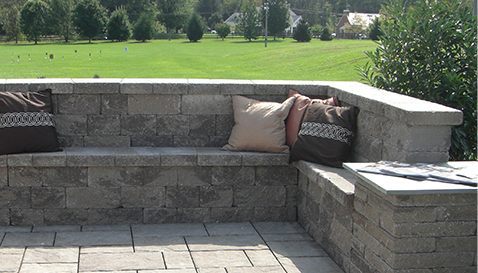 For over thirty years, we’ve been designing & building handcrafted outdoor living spaces. 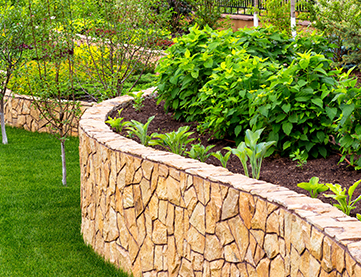 We know the local building codes, understand the harsh effects of our freeze/thaw cycles and utilize sustainable plants that thrive in our clay soils. 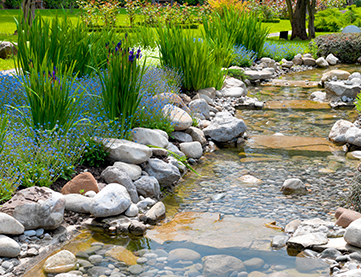 The combination of our talent, in-depth knowledge and long-term experience in landscape design has brought complete satisfaction to hundreds of clients. From a serene retreat to an exciting space for entertaining, if you dream it, we can design AND build it. 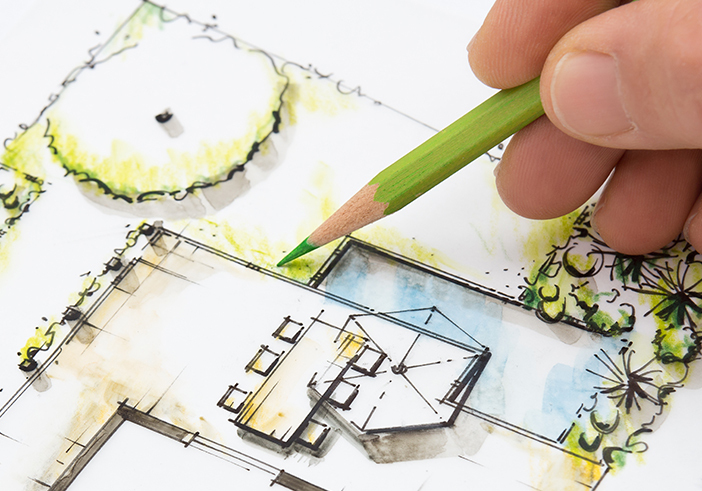 We take your goals, ideas, and challenges and turn them into a reality. We listen. We create your vision. You enjoy! 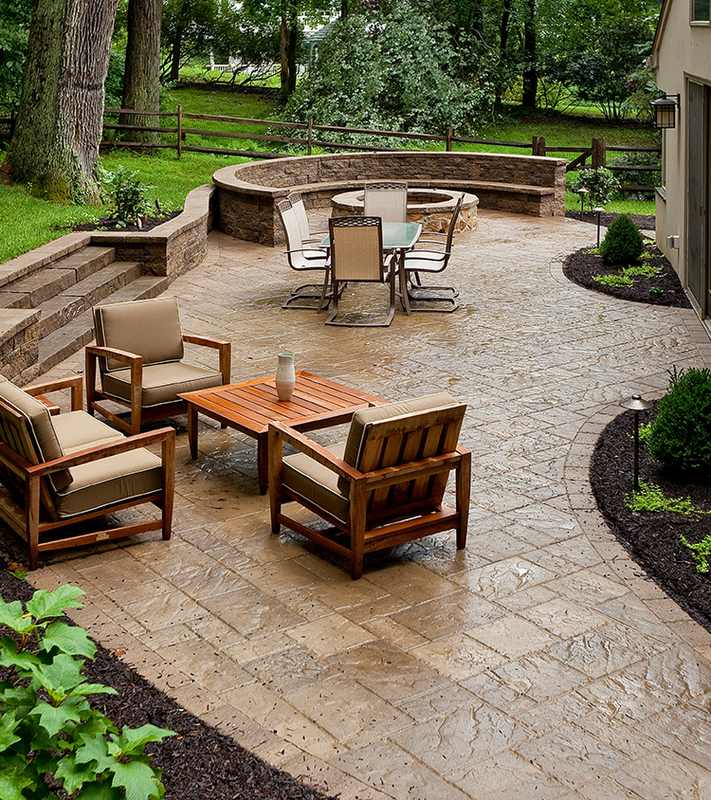 From concept to finishing touches, your perfect outdoor space evolves from a true partnership. We're successful together. Integrity. Craftsmanship. Passion. They are the foundation of every project and the reason our clients experience beautiful, quality-built results that stand the test of time. Dean and his team are consummate professionals, from the detailed plans to the attention to precision execution in every step of the job. The guys were courteous and left the work area clean and organized at the end of each workday. Dean brought creativity to the design and honesty to the business side of the work. We are very pleased with the outcome and our house is the star of the neighborhood. 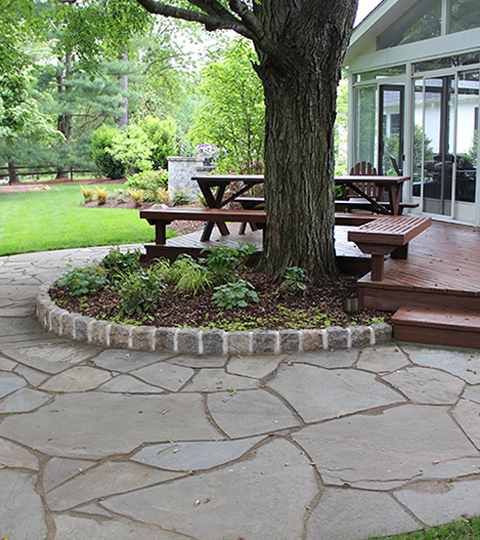 We can't say enough about how great it was to have Dean's Landscaping build our patio. From beginning to end, Dean and his workers were polite, accommodating, trustworthy, and professional. When they left each day the area was cleaner than they found it! Dean has a sharp eye for detail and an amazing ability to foresee what would work best with your property. 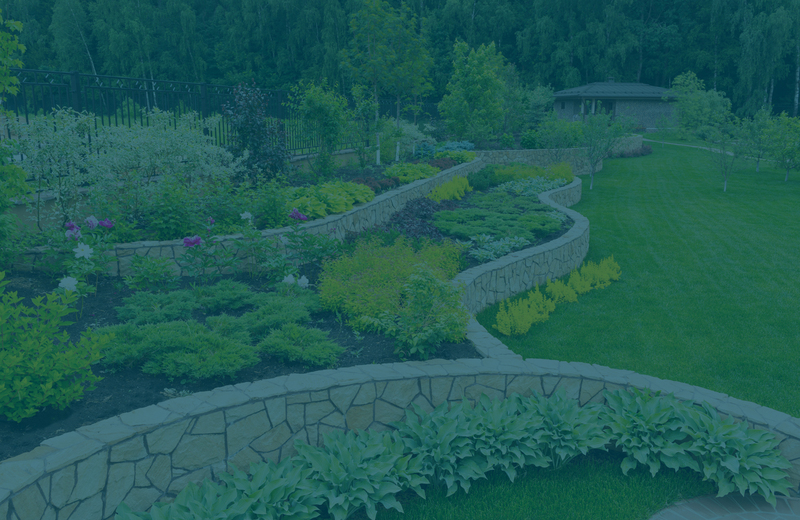 His knowledge of landscaping, hardscaping, botany, and overall building specifications is astounding. He is a professional in the true sense of the word. 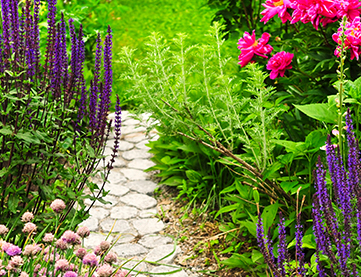 We heartily recommend Dean's Landscaping! We had a backyard makeover this summer. It was orchestrated by Dean's Landscaping. It was easy to work with Dean, who is a man of his word. His team worked very hard everyday-no leaning on the shovels for these guys! The result is awesome. Our backyard fireplace is my favorite 'go to' place. 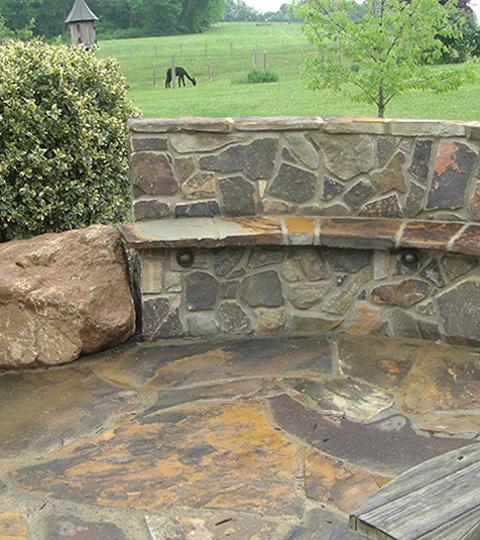 The stonework is much better than pictures in magazines. I was amazed how careful they were with the prep work. Sadly, it will last much longer then the house! Dean's Landscaping completely transformed our lackluster front yard into a beautiful outdoor extension of our home. We were so pleased with their quality of work and the finished product, that a year later we asked them to renovate our back yard ! Once again they delivered with fantastic results ! 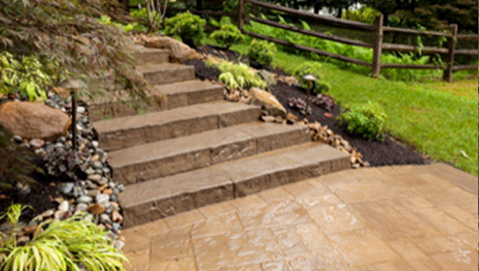 From the design process to the project installation it is a true pleasure working with Dean's Landscaping. 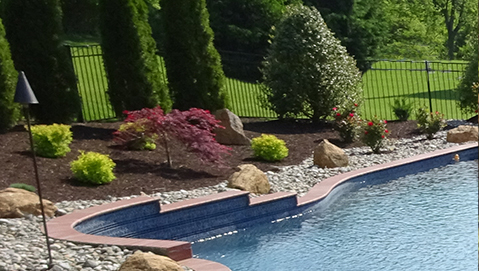 Emily & Andrew Radnor, Pa.
We could not have been happier with the beautiful hardscaping that Dean Stafford and his crew achieved at our home. They did a front walkway, vestibule, back patio and pool area. Their work was meticulous and done in a timely fashion. Dean was professional and more than willing to work with my husband and I and listen to our input. 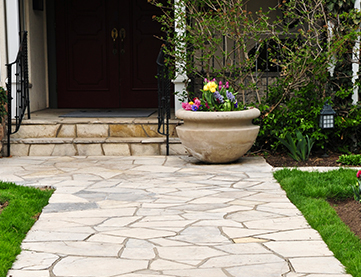 The beautiful work done by Dean's Landscaping will be enjoyed by our family for many years to come. Many thanks to Dean, Bonnie and Crew! Everyday when Greg & I drive up to our house we experience this tingle of excitement! Our house (the front) looks so good to us! The beautiful stone work & the carefully planted flowers & shrubs look fantastic- we can't believe it is our house! Thank you very much for all you did to make this happen-we know it was a lot of hard work! It was truly a pleasure to work with all of you.